Opera Web Browser is one of the best web browsers. Although not as popular as Mozilla Firefox or even Google Chrome, it has gained a faithful community. Its major advantages are speed, standards compliance and high functionality out of the box. One interesting feature that might set Opera apart from competition is called Opera Turbo and is specifically designed to help load webpages faster. Especially designed for those with slow Internet connections, this particular function compresses webpages and reduces loading times, thus the browser downloads smaller files. 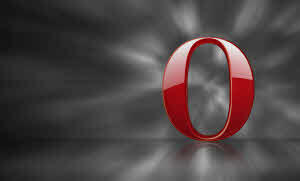 Opera Web Browser packs one of the best feature set, making web navigation faster and quite a pleasure. It does not require a certain level of Internet-related knowledge as many would think and brings the necessary bundle of protection against pop-ups and other online malware. You can be sure that you just discovered a new option when picking your favorite browser. In the end, it's just a matter of taste.